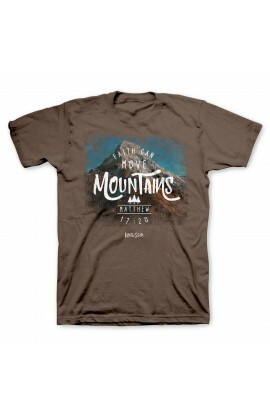 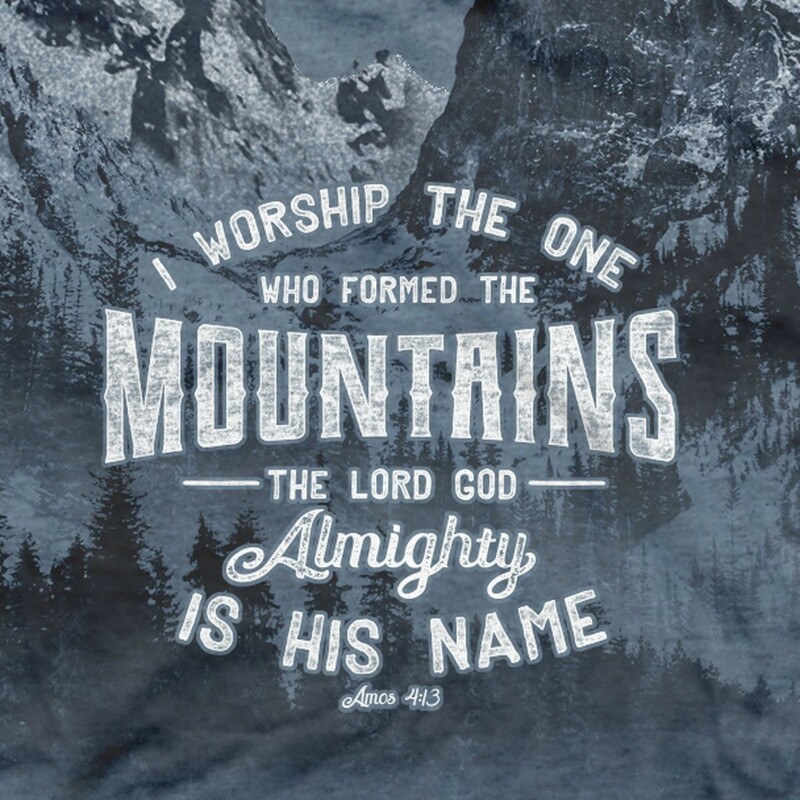 Worship the one who formed the mountains in our “Who Made the Mountains” all-over print tee. 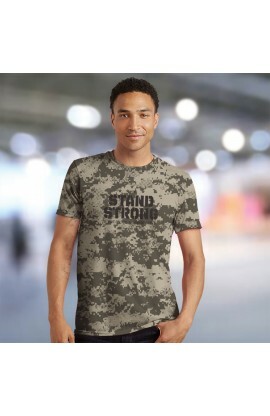 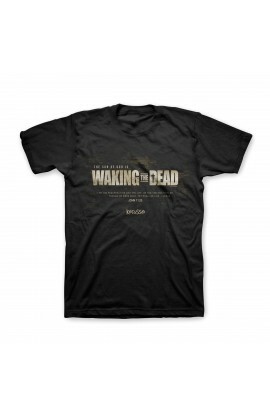 Warning: this new T-shirt is anything but boring! 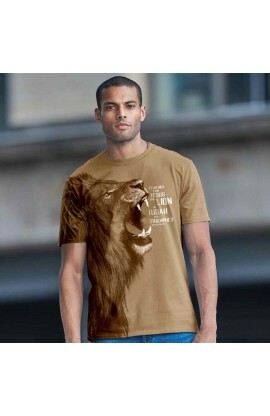 Prepare for compliments and conversation every time you wear it. 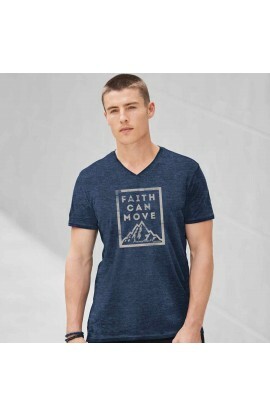 It’s sure to bring up opportunities to talk about Jesus. 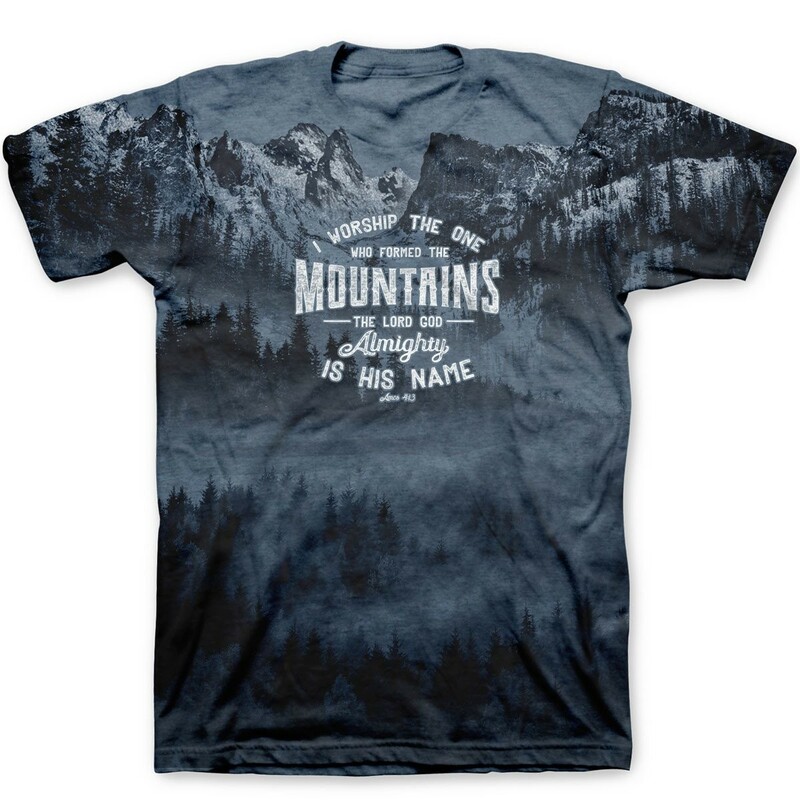 Amos 4:13 proclaims God’s might, saying, “He who forms the mountains, who creates the wind, and who reveals his thoughts to mankind, who turns dawn to darkness, and treads on the heights of the earth—the LORD God Almighty is his name.” His majesty surrounds us—from the wind that rustles the grass to the snowcapped peaks of the tallest mountains, the depths of the ocean to the sun’s warm rays. 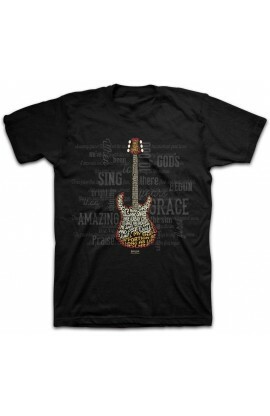 Our God is truly an awesome God! What a blessing to revel in His creation. 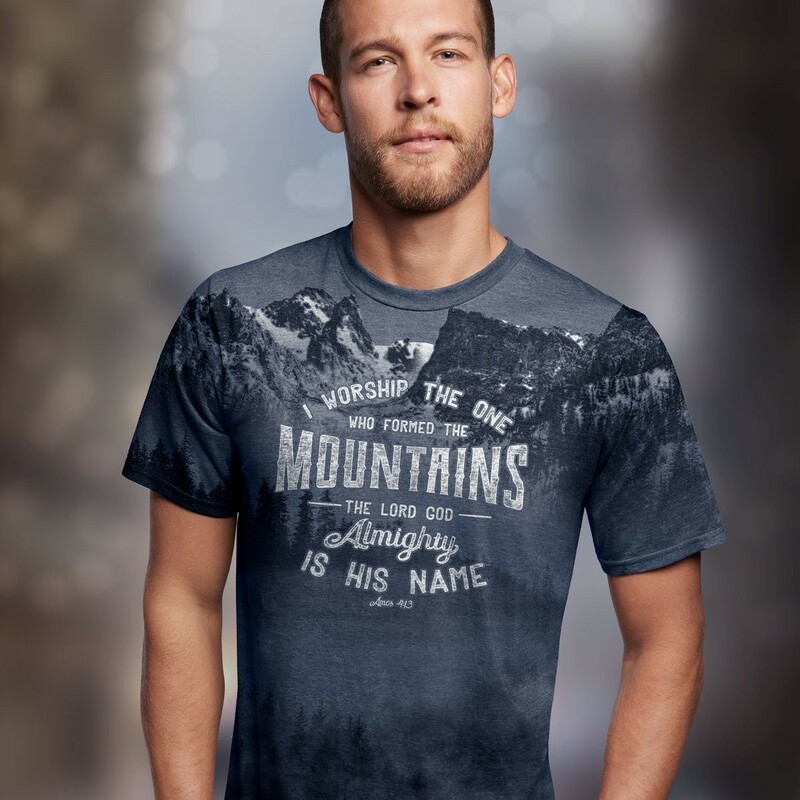 We are surrounded by God’s marvelous creation everywhere we go. 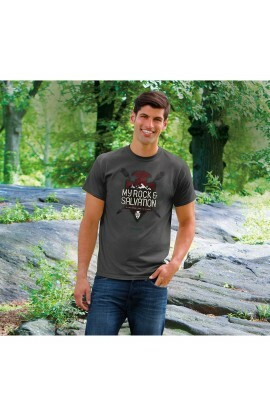 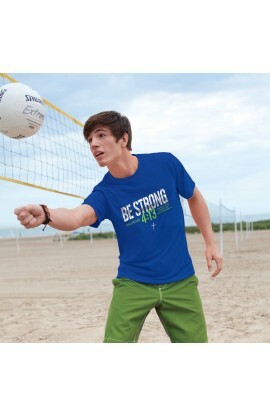 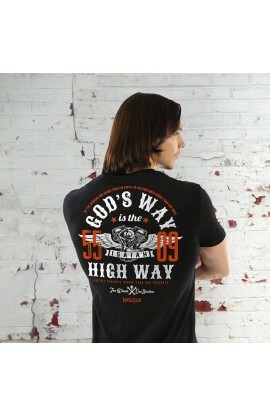 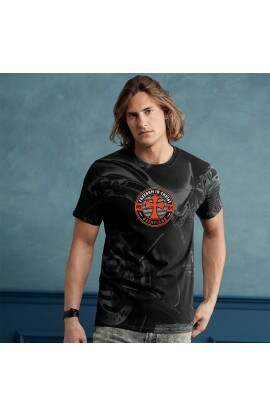 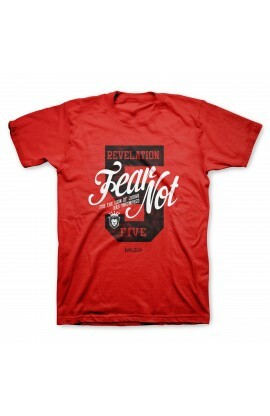 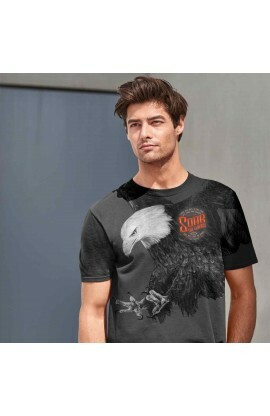 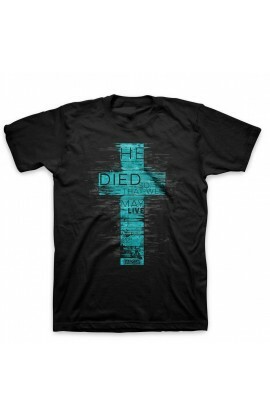 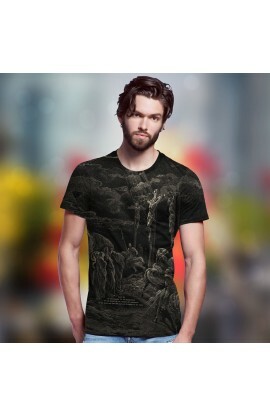 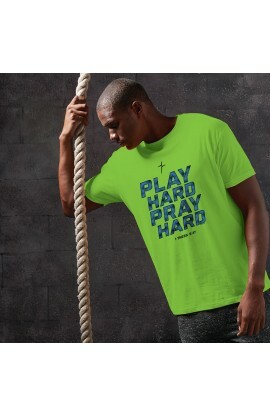 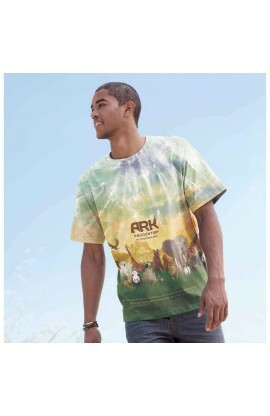 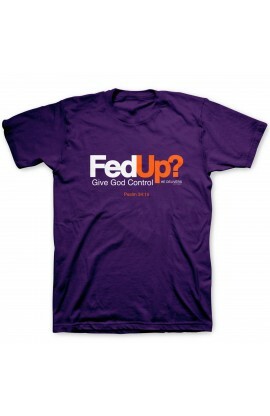 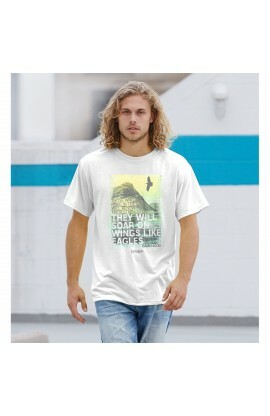 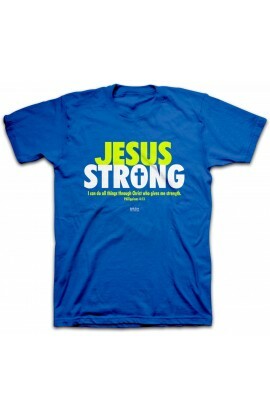 Give Him the credit and tell the world of His wondrous works every time you wear this cool tee. 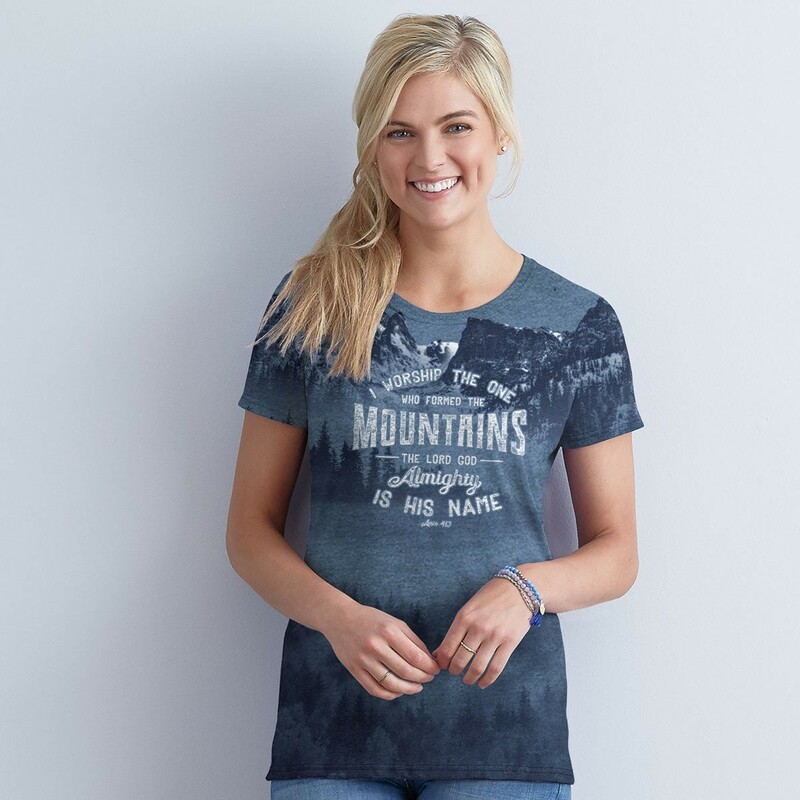 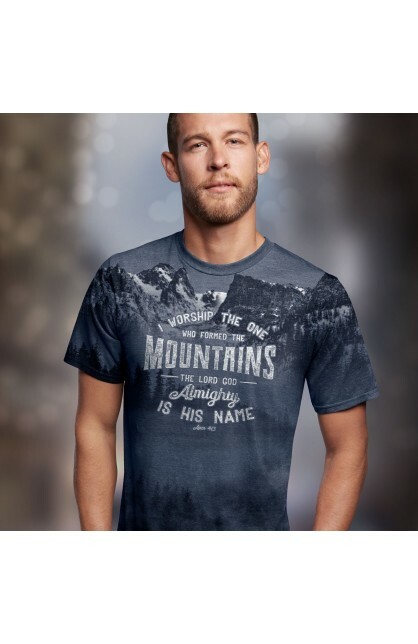 Our special printing process and soft-touch ink means the image on this Indigo Heather tee offers a unique visual experience, displaying the full glory of God’s creation from mountain top to valley, across the entire front of this stunning tee.